Take your relationship with customers to the next level through a powerful CRM Platform or Loyalty Program. Help your brand understand your consumers’ needs easier and faster as well as maintain and continuously development your relationship with them, to reach that point of brand loyalty. 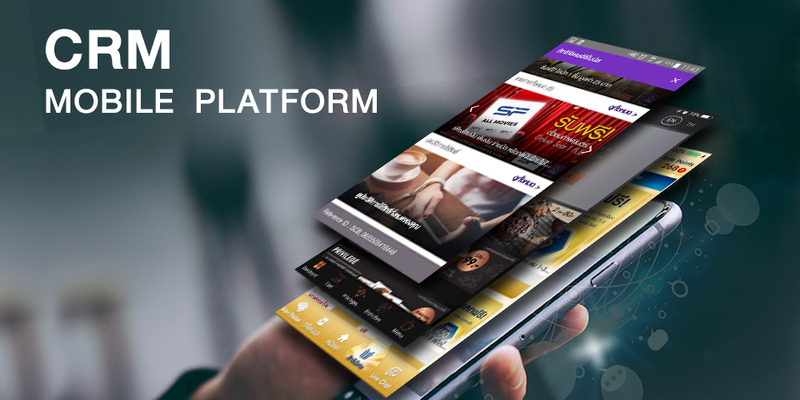 Our Privilege Platform provides an effective redemption system for your customers to collect / earn points, stamps, privileges, as well as redeem special discounts and rewards. We select the best and most appropriate items and services, deals, and promotions for your customers to enjoy all of the exclusive privileges and benefits through the points they earn on over 60 top-notch applications, who partner with Buzzebees such as, Samsung Galaxy Gift, Singha Drinking Water, True Coffee, Tesco Lotus Clubcard, Mead Johnson, Siam Commercial Bank (SCB), Citibank, and Allianz Ayudhya etc. 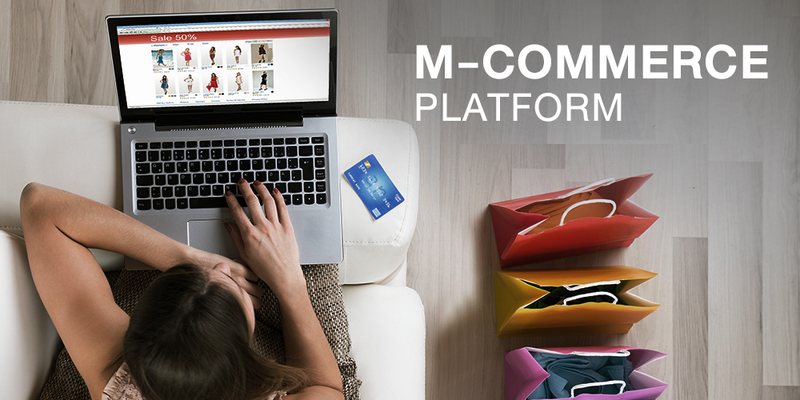 Combine your modern lifestyle with a loyalty program on Line Business Connect which includes Point Accumulation system via Line and a Point Redemption system that allows customers to collect points and redeem them for privileges and rewards. Buzzebees have a development team that helps you provide a CRM service on Line Business Connect for your brands and entire organization. The team will work with the brands to connect the system so it best meets the brand’s needs. Buzzebees can manage the entire program as we have a team who specializes in CRM Privilege Platforms. Plus, we are the only One Stop Solution available in the Thai market that have more than 90% market share in CRM on mobile population. Buzzebees have both IT experts and a professional marketing team that combine to provide the best marketing and technical advice for your brands. In addition, we offer Big Data system solutions. We have data from more than 50 million users on our platform which enables deeper and faster understanding of consumer behavior as well as create marketing campaigns that are much more targeted to better meet your customer’s needs. 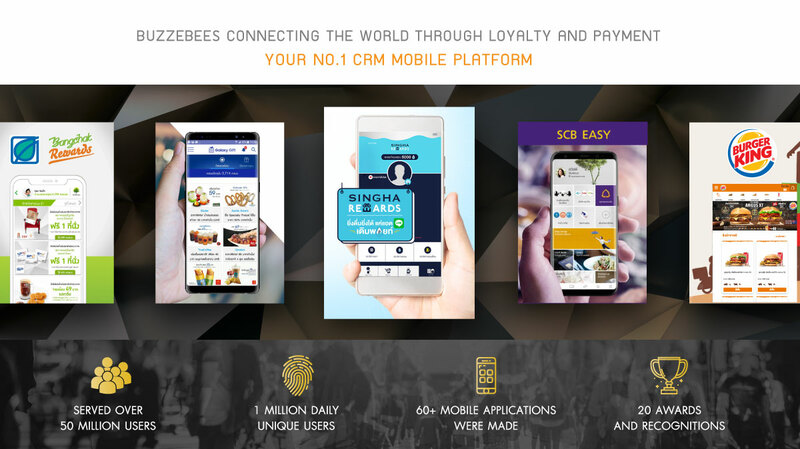 Buzzebees have always focused on CRM and E-Commerce Platform with significant experience in development of platforms for large enterprises who have millions of customers based. These require the support of large database systems and we are currently Microsoft's largest system service in the country. Buzzebees have created applications such as Singha Rewards of Singha Drinking Water brand and Citibank Rewards of Citibank on Line Business Connect platform which are campaigns designed specifically to stimulate sales effectively and efficiently. Learn consumer behavior insights with Buzzebees Z-Through, the latest marketing model developed by Buzzebees. Buzzebees Z-Through is an extension our loyalty program and E-Commerce system, providing Big Data solutions which covers more than 50 million customers. Statistical analysis helps select your target group more accurately and helps refine your marketing strategies smarter. The system stores data on consumer behavior, then processes millions of records, analyzes it at speed, down to a level at which it knows the time a person stops looking at products, the number of seconds it takes to see what products they are interested in or not, or click to see information. 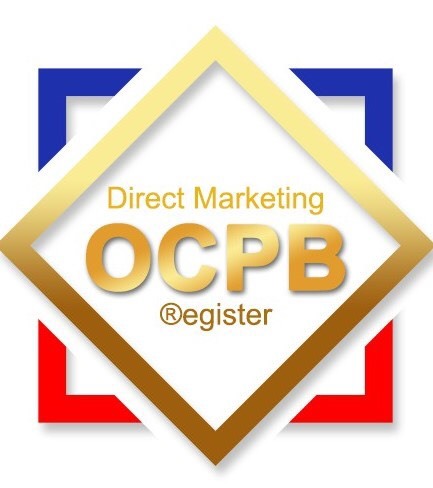 The system can learn about consumer behavior and lifestyle at a precise level, just simply add a #Hashtag for anything sold online that you want to know about, and results are available producing tremendous benefits in marketing for our clients. 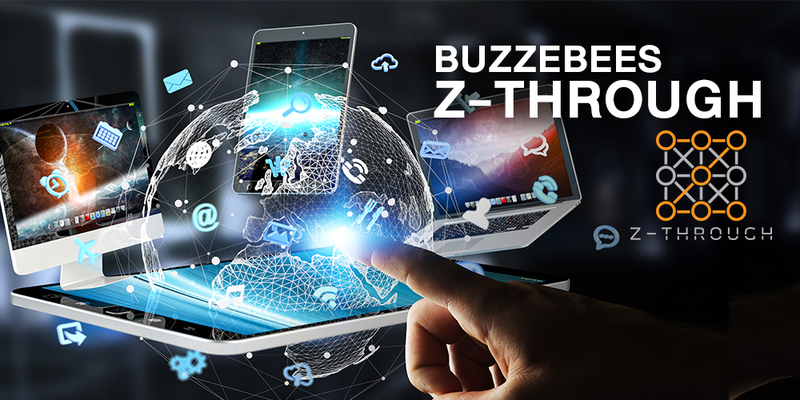 Analysis and Insights using "Buzzebees Z-Through" will transform the way in which marketing campaigns are conducted for any organizations, with proven and significant impact on your sales. 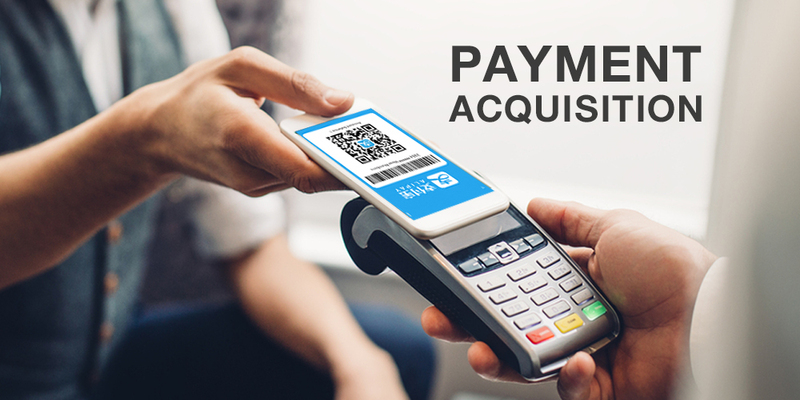 Buzzebees cooperates with the major online payment service providers (E-Wallet or E-Payment System) which are popular both in Thailand and abroad including Alipay, TrueMoney Wallet, AirPay and other prominent payment providers will be added in the future. 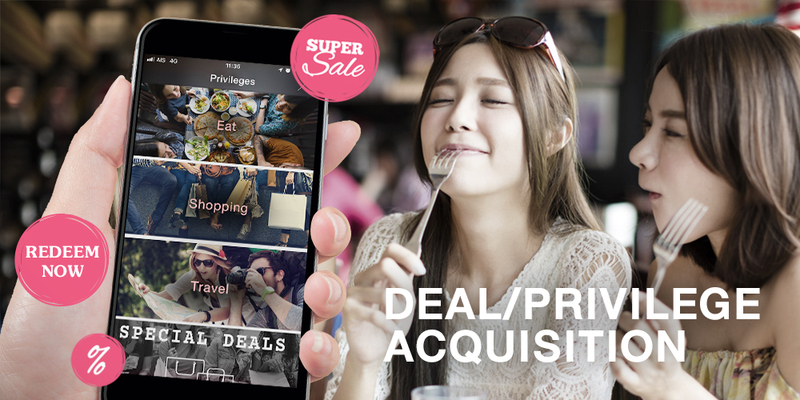 Buzzebees aims to support and stimulate spending from Chinese tourists visiting Thailand. With a high percentage of tourists make payments via their mobile and the numbers of tourists increasing every year , the number of transactions is expected to continuously grow. 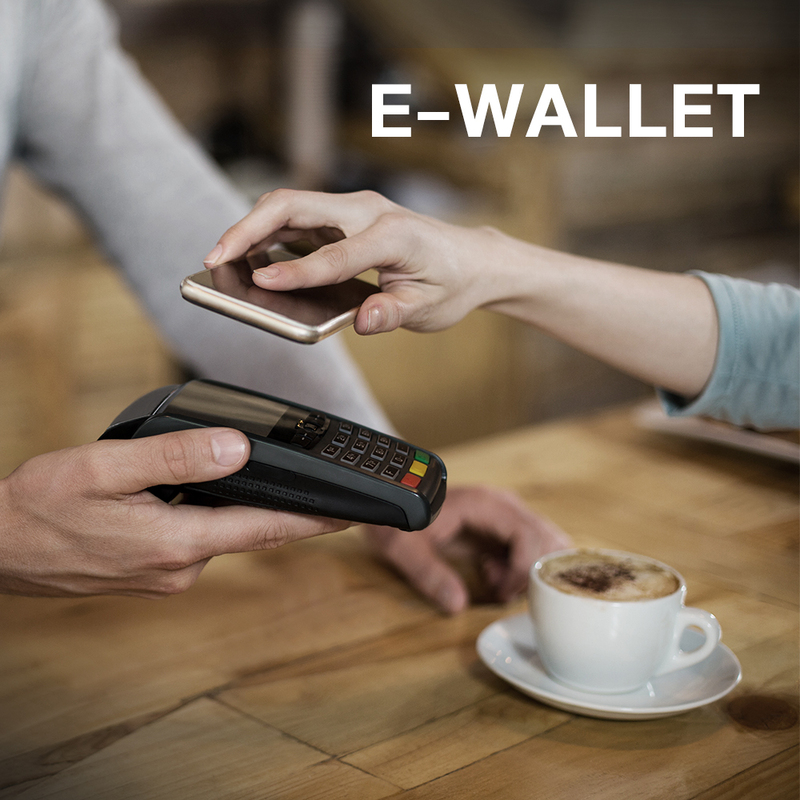 The payment solutions also support the move to a more cashless society in Thailand via the system connections with POS, EDC, or Mobile Application for our partners allowing customers to pay for goods and services easily, faster, and more conveniently. It is also offers greater opportunities for retailers and service providers to increase their revenues too. 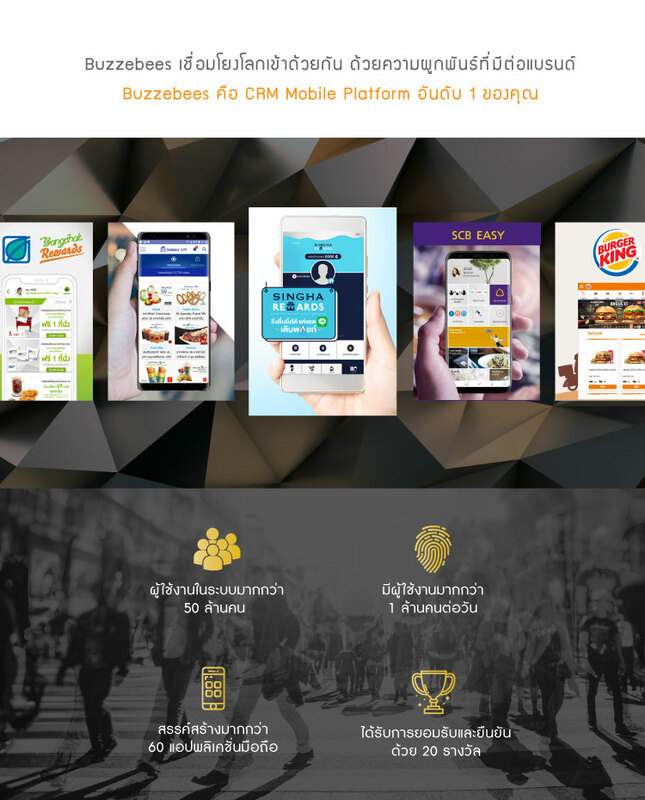 Currently, Buzzebees have provided these online payment solutions to more than 80 leading brands, totaling more than 1,000 branches throughout Thailand. Seeking deals and privileges for your customers? Leave it to us. We partner with over 1,500 popular brands and stores in Thailand, providing products and services to meet your customers’ requirements and suitable for different lifestyles. We know the benefits of Loyalty Programs, it has proven success in attracting customers to choose your brands and services with powerful tools such as our redemption points system, allowing customers to redeem discounts and rewards which best fit their needs. 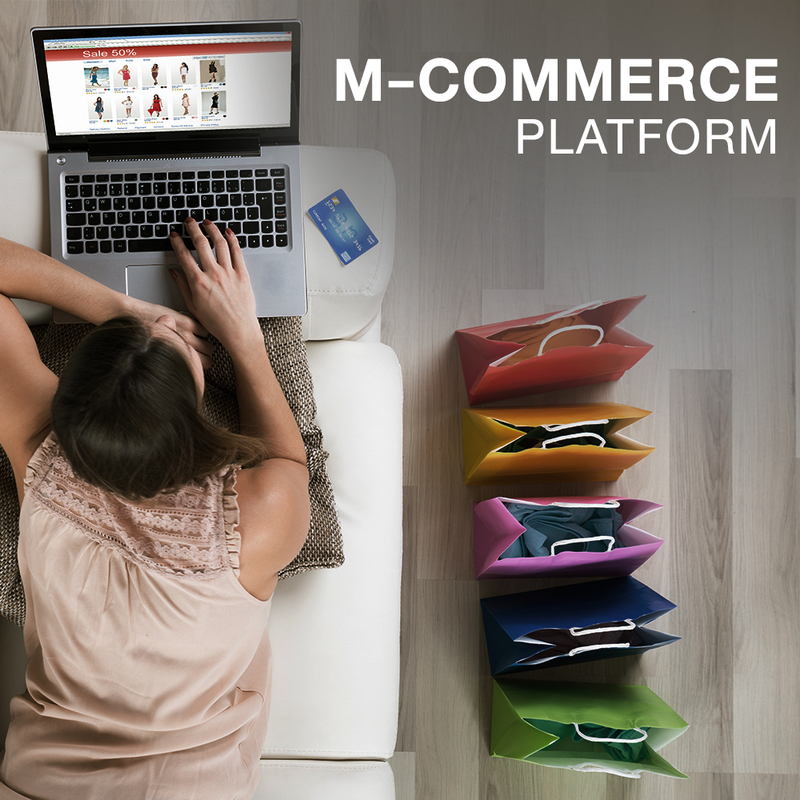 The best online shopping experience is right in your hands with our M-Commerce Platform. Let your customers enjoy shopping their favorite products on mobile phone anywhere and anytime 24/7 through outstanding online platform with up to date products and a range of over 10,000 different products to choose from. Plus, the secure payment process and point redemption, make it more convenient and safe for customers to purchase goods along with earning points to redeem special discounts, rewards, and other exclusive privileges. 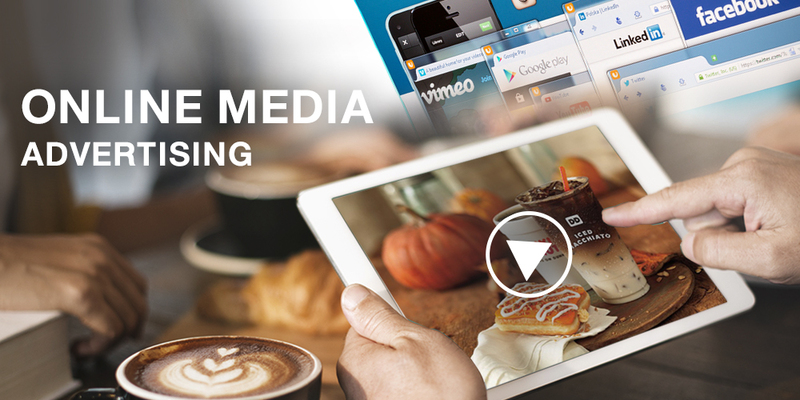 Expand your market reach with Online Media Advertising. Promoting your brand through leading websites and applications such as Galaxy Gift, Galaxy Rewards, and WhatSale. One of the effective ways to introduce your brand to customers is through online advertising, but it’s not easy to make them just click and watch your ads and want to know more about your brands. 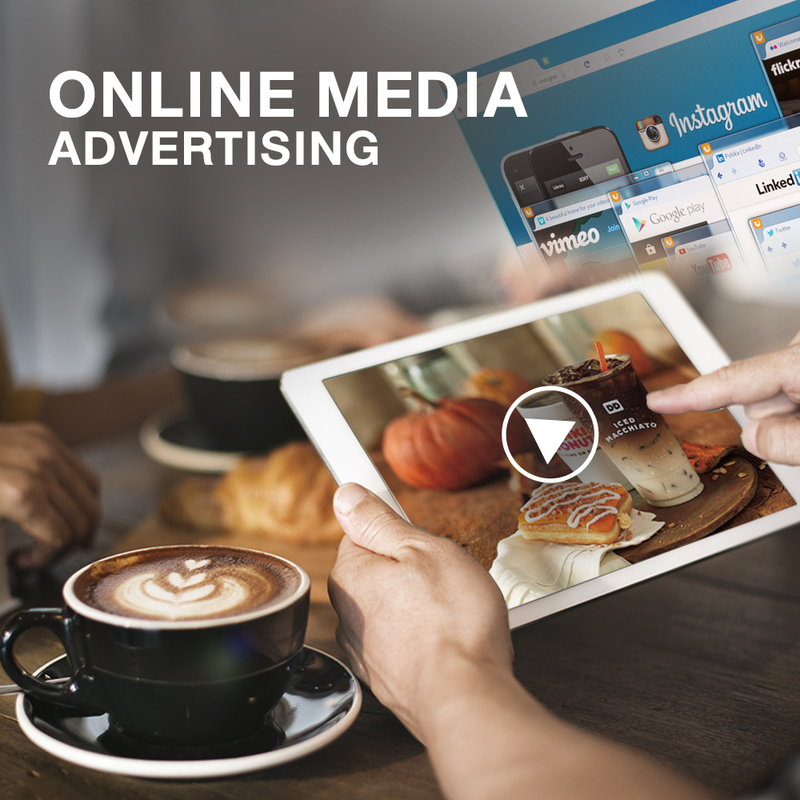 With our Online Advertising service, customers can earn points once finish watching your advertising and those points can be used to redeem special discounts and rewards from various top stores, encouraging them to watch all of your ads and many times – increasing the reach and frequency. Are you ready for a Cashless Society? 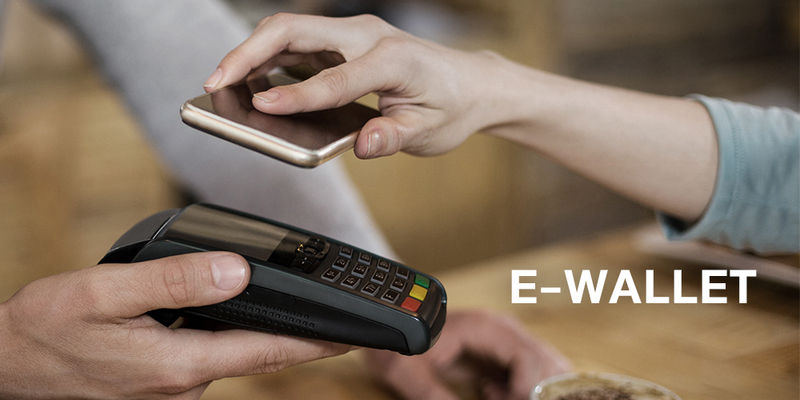 Payment and transactions will be effortless now that customers can purchase goods and services through E-Wallet in just a few seconds. No cash to worry about, no credit card to own a credit card, simply scan and pay directly on your mobile phone and have the added benefit of earning points instantly once the purchase is complete, those points can be used to redeem special discounts and exclusive rewards too. Quick delivery is our duty. 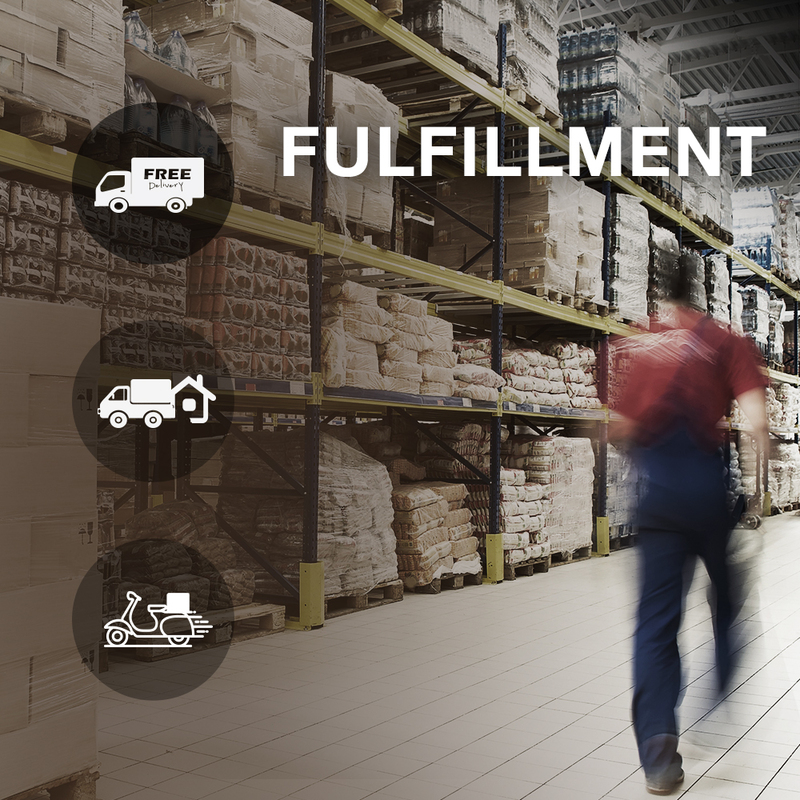 With our innovative one stop fulfillment service, feasible for all business levels from retailers to SMEs to large organizations, we provide services for warehousing, packaging, shipping products to your customers’ door via Post Office, Courier Services, and messenger. All goods are ready to be shipped for the next day delivery. Reach your customers or potential customers and find out what they think and feel. We have unrivalled access to the largest base in Thailand, with over 10 million Thais on smartphones to get their views and opinions at any moment in time. It’s fast, it’s efficient and it’s accurate, reflecting real Thais views. 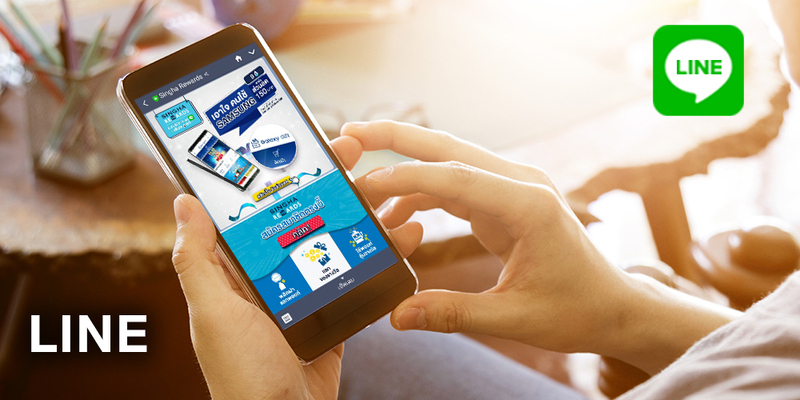 Marketbuzzz provides advanced market research services for brands, with superior mobile technology, with inbuilt points redemption system, allowing customers to redeem points as soon as they complete a survey to get rewards, discounts, special deals, and privileges from various stores. The more incentive on offer, the more they want to participate in your survey.